The area burned in the Red Canyon Fire on Monday, July 9, in between Edwards and Wolcott. 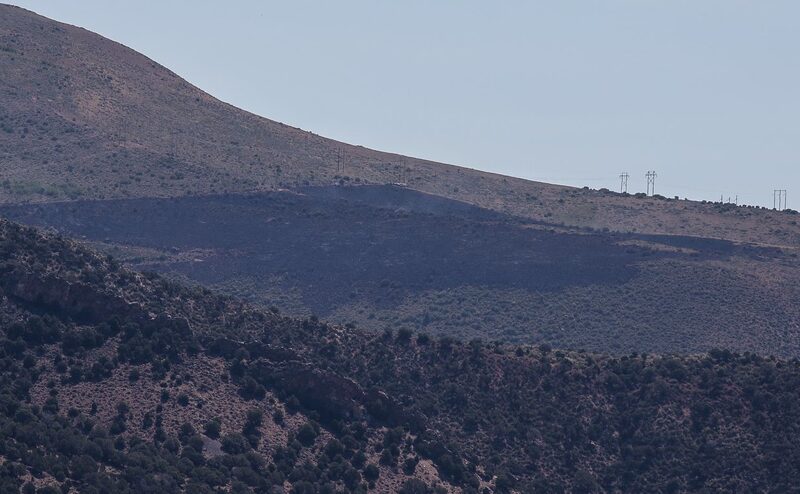 The Red Canyon II Fire near Eagle Springs golf course in Wolcott grew to 26 acres overnight. Crews are battling to keep the blaze away from power lines. A helicopter is working the fire. This photo shows the fire near the Wolcott area on Sunday, July 8. WOLCOTT — Crews battled the Red Canyon II Fire to a standstill Monday, July 9. 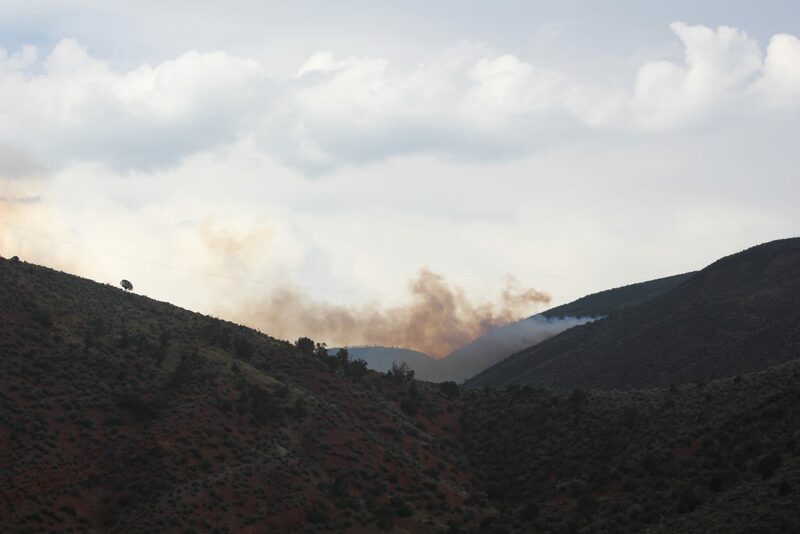 Eagle County’s latest wildfire was 26 acres Monday morning and was still 26 acres Monday evening. 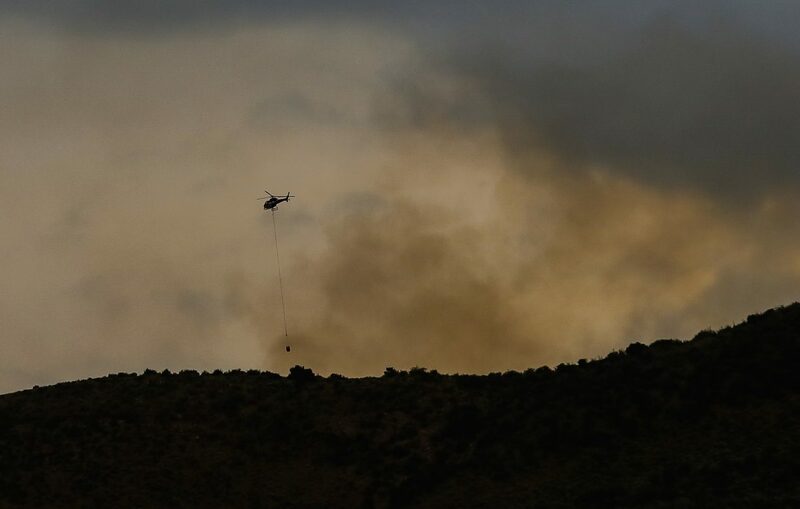 The fire was reported to be 30 percent contained as of 5 p.m. Monday, and residents of Red Canyon Estates who had been evacuated were allowed to return to their homes Monday evening. Crews also kept the fire away from power lines that run through the area between Edwards and Wolcott. To gain entrance, Red Canyon residents must present identification such as a driver’s license. Eagle County Sheriff’s deputies will continue to patrol the area through the night. 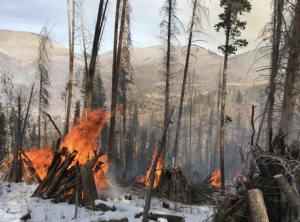 Crews will continue fire suppression activities, conducting mop-up operations and extinguishing hot spots as they continue to secure the fire’s perimeter for the next several days. 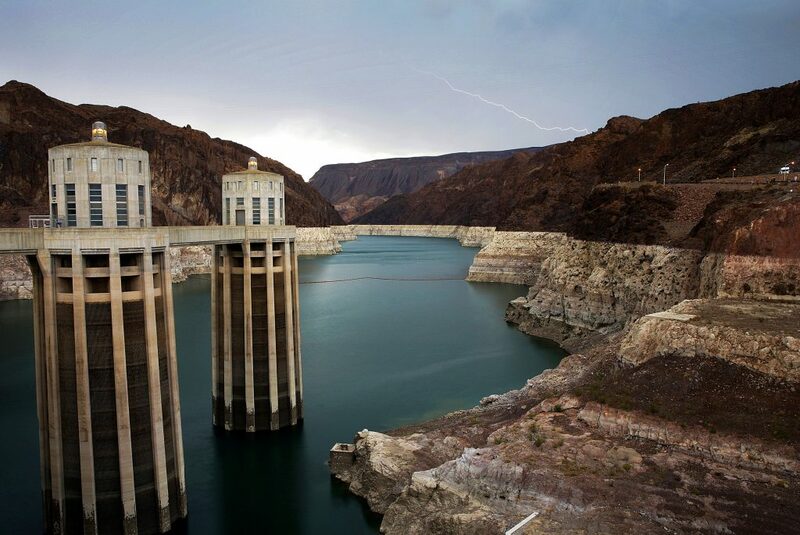 Lightning likely sparked the Red Canyon II Fire late Sunday afternoon. It grew to 26 acres overnight, up from five acres. 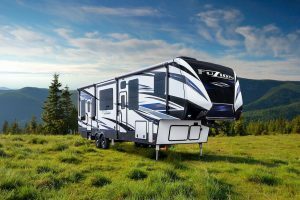 To get there, crews are taking trucks and backcountry vehicles up Red Canyon Road as far as they can and hiking in from there, Mayville said. 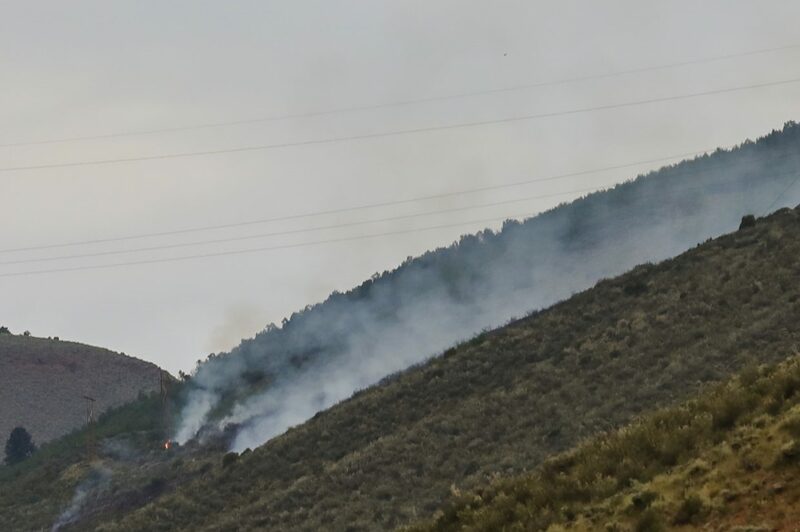 Two other small fires were reported along Interstate 70 at around the same time that the Red Canyon II Fire was reported, the Eagle River Fire Protection District said. Mayville said crews are approaching the fire with the classic strategy, the Three Ps. 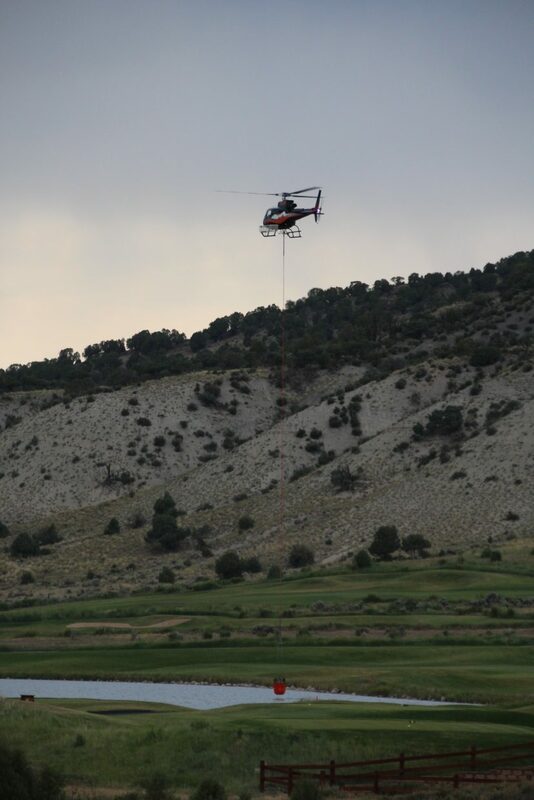 A Type 3 helicopter dropped water on the fire through the late afternoon and early evening Sunday and most of the day Monday. Earlier Monday morning, someone was hang gliding or parasailing near the fire. The pilot was flying in the normal way and along the same route that parasailing pilots fly in the Wolcott area — not directly over the fire, but near enough that if the helicopter had been flying, it could have been a problem. It’s more common for people to fly drones over or near fires, said Kate Jerman, public information officer with the U.S. Forest Service, who added that in her tenure with the Forest Service, she’d never seen anything quite like it. 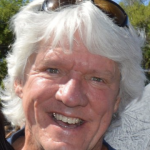 “That’s why we tell people, ‘If you fly, we cannot,’” Mayville said. 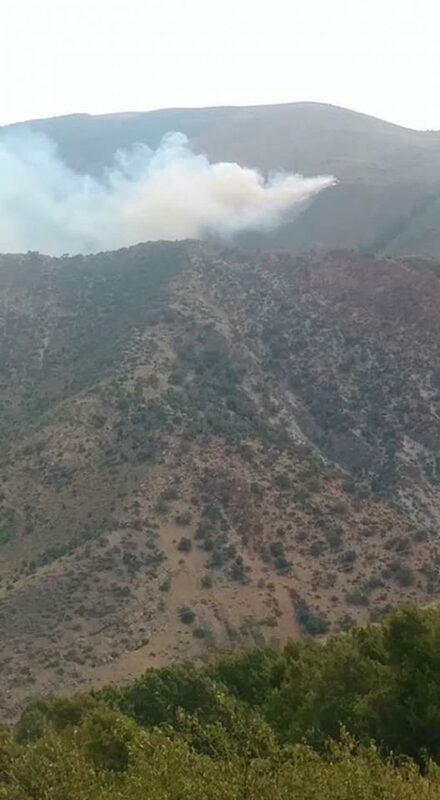 A few miles away in the Roaring Fork Valley, crews continue to get a handle on the Lake Christine Fire. The 5,916-acre fire was 31 percent contained Monday afternoon and was being battled by 583 firefighters, including 16 hand crews, 35 engines, three water tenders and five helicopters.